If It’s Broke – We can Fix it! 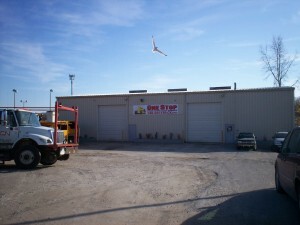 One Stop Truck Repair is always ready to help! We have Certified Mechanics with years of truck maintenance, truck inspection and diagnostic experience. Our One Stop Truck Mechanics have been trained to perform DOT Truck Inspections, complete truck maintenance, and truck diagnostics on any size truck including the diesel big rig. One Stop Truck employees are top quality Truck Mechanics with State certifications and more importantly years of truck service and road service experience. All Truck Mechanics go through back ground checks and are registered with the state. We strive to provide honest and friendly service that will save our customers time, money, and have you back on the road fast. 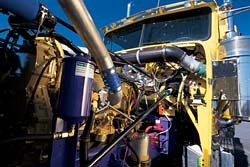 State of the Art Computer Truck Diagnostics helps us to quickly identify your problem and avoid unnecessary truck parts and truck maintenance. Our advanced tools and truck mechanics will shorten the amount of time your vehicle is out of service. When it comes to your truck’s needs call One Stop Truck First! CERTIFIED TRUCK MECHANICS – READY TO HELP! !